This hardy blackberry is a favorite for many. The Navaho blackberry produces an abundance of medium sized, juicy, sweet, and dark purple to black fruit that ripens around late July. This berry works well in pies, jams, jellies, and preserves. 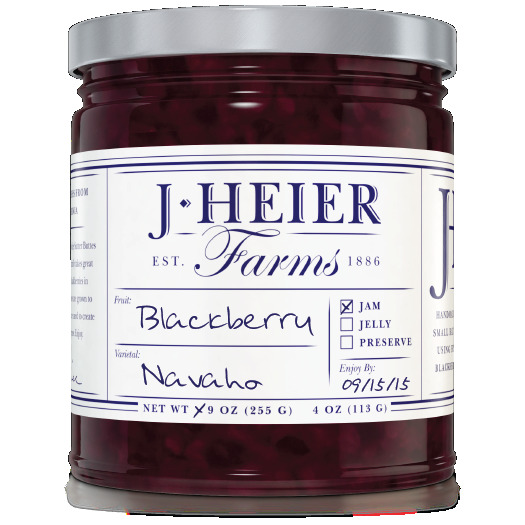 Navaho blackberries, pure cane sugar, and pure lemon juice.